We’re sure that you have heard about SEO. If you are here, it’s probably because you want to set up an SEO strategy within your website. In this era of quick changes, SEO is changing too. There’s a Traditional Model who has evolved to the New one. Now, apart from crawling, indexing and ranking, new concepts have appear like rendering, signaling and connecting. But, what’s SEO precisely? It means SEARCH ENGINE OPTIMISATION. Okay, cool. But what is it? And how does it work? We are talking about a procedure to increase the quantity and quality of a website traffic, as well as, exposing certain online assets on to the organic (non paid) search engine results. Regardless of the name, it is more about people, rather than about search engines. SEO’s aim is to understand what people are looking for, the answers they’re persuing, the words they’re using and the content they would like to consume. Visitors will highly value a brand with the specific tools to answer this questions offering valuable content. Summarising, creating interesting content for your visitors, you will contribute to the Internet. Offering valuable and relevant content to the search engines will increase the probability of your website being exposed increasingly in the SERPS (Search Engine Results Pages). Now the next question should be, but how do search engines work?! Search engines have three key processes: Crawling, indexing and ranking. To crawl means to explore the Internet, to discover new content on the web. After the crawling process, search engines compile and organise the found information. Then, that content will be ready to use as a result to specific or relevant queries. This is the indexing process. At the ranking step, search engines will provide the closest match that will answer visitor’s query according to the indexed information and the score within the algorithm. This process’ name is the triad method 0r the Traditional SEO Model. However, considering the wide range of parameters that SEO professionals have to analyse, there’s a necessity to find an extended model to fill the gaps that the traditional doesn’t fill. As a result, the SEO community has devised a further three modules to consider. These being, rendering, signalling and connecting. The World Wide Web is always changing. It’s the reason why we need to adapt to the ever changing landscape and SEO procedures. To connect with our customers, we have to understand that they’re humans. We all have a busy life and we have to be relevant to our users’ mind if we want them to remember us. For that purpose, we have to become psychologically important for them because THE BRAIN HOLDS ONLY WHAT’S RELEVANT, USEFUL or INTERESTING FOR SO LONG. -Do your users use friendly adjectives to describe you? -Are you treating your customers as a friend? -Does your brand’s personality fit with the reality? -Is all your content useful, relevant or interesting? -Does your website inspire confidence? And does it have a credible reputation on the World Wide Web? -Is your content answering your user’s questions? -Does the site use relevant testimonials and information for your customers? -Is it equally easy to buy and subscribe as it is to return and cancel? -Is your contact information easy to find? Every site’s aim is to be found by search engines. To this end, they have to send precise and effective signals so as not to confuse search engines. That’s the main objective of signalling; to start a preemptive communication with the algorithm, instead of be waiting to be found. You have to make sure that the content is similar. Canonical links are written in HTML. Select one of the pages as your main (canonical). Add rel=”canonical” link to the URL that you have chosen. In this example, we’ll add it to the shortest link. This tag must be written on the <head> section of your site’s HTML code. Adding this tag, you’ll join to pages into one. From search engines point of view, links from both pages will count as single, and it will make you easier to get found by Google and users. rel=”prev” & rel=”next”, is related to indicate the relationship between paginated URLs and distinguish them as series. In this way, using this element you will be able to send users to your most relevant URL quicker because search engines won’t get lost finding it. Hence improving your overall UX (User Experience). Using these link tags you’ll be giving Google a very important hint which will let you get an easier and quicker results in the SERPS (Searching Engine Results Pages). rel=”alternate”, delineates similarity between two pages and signals which page to preference to Google. This is another way to prevent duplicate content problems. There are two basic tags that you have to be aware of: rel=”alternate” media and rel=”alternate” hreflang. First one is used to indicate the relation between desktop and mobile websites, helping search engines understand which version of your website do you want to serve to users. The second one is to provide information to Google about the language and the audience of a specific website. Using this tag will help you serving the proper regional URL and correct language for each user. Desktop version: Type rel=”alternate” media in the HTML code to redirect the traffic from desktop to the mobile version. Which means that if user’s device is less than 640 pixel wide, search engines will redirect automatically to the mobile version. 2. Mobile version: Add the canonical URL in your mobile’s HTML code page to redirect the traffic from mobile to desktop version. The rel=”alternate” link means that there’s a relation between the website mentioned above and another one. The hreflang=”en” provides the information about the language and location of the target. The href contains the URL of the mentioned website. <link rel=”alternate” hreflang=”fr” href=”https://www.example.com/fr/” /> Using this link tag, search engines will look for different language according to the location of the user who is doing the research. 2. Use the Google Search Console so you can make sure that you are sending clear signals and analyse the reports. This tool will help you to monitor and maintain your site’s presence in the SERPS (SEARCH ENGINE RESULTS PAGES). 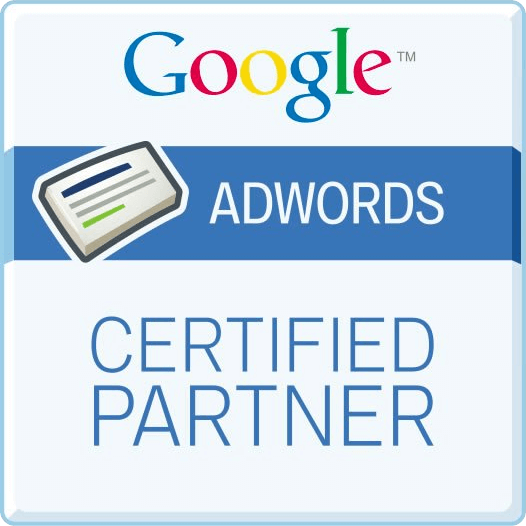 To start using this easy free service offered by Google, you’ll just need a Google account, login on Google Search Console and add your website. Then you will have to add your Sitemap. If you have used WordPress to build your website, which is the most recommended CMS (Content Management System), you can easily generate your Sitemaps with Google XML Sitemaps or YOAST SEO plugins. 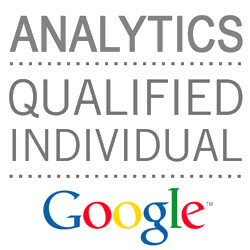 Your next and last step is to link your Google Analytics to your Search Console. Simple. And now you’ll be ready to start enjoying the advantages of it! -You are using correct link tags, such as, rel=”alternate”,“hreflang”, “href”, “previous”, “next”, etc. -You are creating good internal and external links connected with your content, which will finally create an appropriate network and feedback with your website. -Your content is presented in the DOM. The Document Object Model (DOM), is a computer software and a language-independent Application Programming Interface (API) that structures an HTML document as a tree. Every single part of the tree ends in a link which contains different objects. Presenting your HTML in the DOM will possibly web engines to find your website easier and quicker. -The content is being correctly indexed. You can check the process using the Google Search Console which will help you monitoring and analysing your reports. Using Google’s Mobile-Friendly Test Tool would be also useful for you to ensure that your website is Mobile friendly, since smartphone traffic has overtaken desktop traffic in many countries. There is another question that you should ask yourself: Do you really provide valuable content to your users which should be indexed by Google? –Distribute the content in different sections or pages. -As we’ve explained previously, add rel=”next” and rel=”prev” link tags on each page. -Use lazy loading imagery. This web optimization tactic loads images while user is scrolling, which will save time downloading images only when it’s needed. CSS (Cascading Style Sheets) is another term to bear in mind in the rendering process. As we’ve mentioned, HTML’s aim is to write the code. whereas CSS is to add visual characteristics to the website, such as, colouring, stilling, etc. adding images, videos, gifs and so on. The problem is that Google doesn’t index many attributes of CSS. To make this possible, there are some tricks. For example, you can ensure that you add encircled textual content to the CSS animations which search engines will interpret. Another way to solve the problem is the usage of responsive layouts, which means that the entire layout will respond on the customer’s screen resolution. Users can start reading your website in their mobile and then switch to their tablet or computer, so the browser window will get resized automatically. If you’ve got a website already, you should be aware of these instructions above to ensure an appropriate traffic to your website, define the target that you want to reach and improve your business’ profitability. Don’t hesitate to contact us today to help you grow your business. One thought on "SEO’S NEW WAVE: RENDERING, SIGNALING, CONNECTING"